Netflix, YouTube, Hulu: Why Hollywood resists disruption. It doesn’t fight off invaders. It sits down and does business with them. 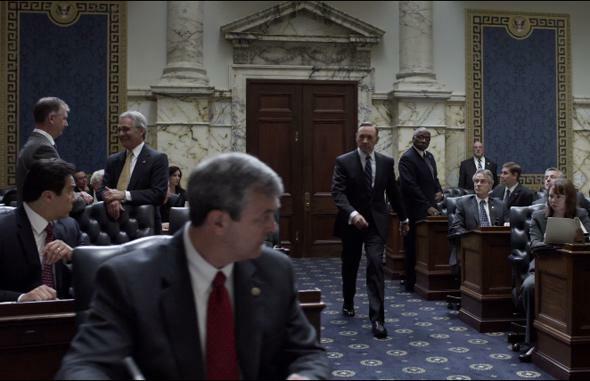 Netflix’s green-lit the first two seasons of House of Cards, sight unseen, for $100 million. The Roman Empire never fell. Not really. It’s true that Alaric, king of the Visigoths, sacked Rome in 410. But he didn’t bring the barbarian hordes to the gates of the great city. The barbarians were already inside, and they had been for years. In the preceding centuries, Rome had pretty much gotten out of the business of conquering Germanic tribes and into the business of bribing them. It paid this Goth to fight that Goth, or perhaps to govern a regional territory instead of torching it. Before long Rome had outsourced at least one-quarter of its military, and most of its borderlands, to the uncivilized and unwashed. By the time Alaric showed up, the leader of the Roman army was a Vandal. And Rome, for that matter, was no longer the empire’s capital. The siege was largely symbolic, and surprisingly little in the life of a Roman citizen changed when it was over. I offer this brief history lesson in service of an analogy. Hollywood is the closest thing the business world has to a Roman Empire: a largely self-sustaining, self-contained industry, reigning supreme over most premium content in most media channels. And like Rome, the entertainment business has plenty of enemies who’d love to watch it burn. They probably won’t get their wish. Hollywood appears to have peaked. If it were an ordinary industry (film cameras, say, or typewriters), it could look forward to a couple decades of peaceful decline. But this is not an ordinary industry. The people who run it are so mean and so politically connected that they could do a lot of damage to civil liberties and the world economy on the way down. It would therefore be a good thing if competitors hastened [its] demise. Graham drafted the essay in 2012, in the immediate aftermath of the Stop Online Piracy Act and the PROTECT IP Act: legislation—which media conglomerates lobbied for, and which would have had drastic consequences for free enterprise and expression. Graham’s urgency and force of tone had a lot to do with the perceived stakes of the SOPA/PIPA battle. Fortunately, the bills died in vitro. But Hollywood’s still alive and kicking. Sales of movie tickets, in per-unit quantities, have held steady over the last 20 years, while inflation-adjusted revenues have grown. Certain sectors of the TV business, particularly broadcast networks, are having a rougher go of it. And as cable subscriptions decline, subscriptions to streaming services like Netflix are climbing rapidly. Research firm NPD Group notes that, as of last August, 32 percent of American households had cable TV subscriptions, and 27 percent had subscriptions to an on-demand, streaming media service. From the outside looking in, it certainly looks like disruption. But very little inside the Hollywood system is being shaken up. Netflix isn’t eating the TV industry’s lunch; it’s paying for it. Its commercially and critically successful moves into original content—fantastic shows like Orange is the New Black and House of Cards—were commissioned in Los Angeles, created and produced by studio-system veterans, and packaged by Hollywood agencies. In fact, Netflix paid slightly above the going rate for Hollywood scripts and talent. It green-lit the first two seasons of House of Cards, sight unseen, for $100 million. For the sake of comparison, a broadcast TV network spends about $60 million to $90 million to bring eight to 10 pilots to the air every fall. The cost of one season of, say, Breaking Bad was about $50 million—but AMC only spent that sort of coin on a proven winner. Yes, Netflix is cannibalizing one side of the entertainment business: distribution. But in doing so, it’s propping up another: development and production. In effect, it’s the barbarian invader who took the Roman payout. And Netflix is the most successful of the horde. Content hubs like YouTube and Hulu have yet to make a serious impression in the entertainment ecosystem. YouTube announced a premium subscription service in May of 2013. For monthly fees between $0.99 and $7.99, subscribers get access to special content by the same folks who put out YouTube videos for free. It’s way too early to tell how successful the subscription service will be. But so far, the lack of chest-thumping press releases speaks volumes. To be fair, Google is investing heavily in ad sales efforts on YouTube, and industry analysts believe those efforts are paying off handsomely. But so far, at least, YouTube has had no breakout premium hits of the kind that sell subscriptions en masse. And in general, its viewership doesn’t appear to be affecting TV ratings. Consumers watch YouTube in addition to movies and TV, not to the exclusion of them. If and when YouTube launches the next Breaking Bad, it’ll probably be a Hollywood production. Google has not been shy about spending $300 million on the A-list establishment, inking exclusive channel deals with known commodities like Ashton Kutcher, Flo Rida, and Jay Z. And Google is rumored to be signing a distribution deal with the NFL. (Google spokespeople officially shrug off the NFL rumor, though its persistence might indicate some substance.) If these partnerships bear out, they’ll be fantastic for viewers like us. But in many ways, they’ll represent a not-so-tacit admission that premium entertainment, of the kind companies pay hundreds of millions of dollars to get access to, still rules the digital age. Without question, technology has changed entertainment, irreversibly, and mostly for the better. But the shows we love are still made by the companies people love to hate. They will be for many decades to come, because Hollywood understands something very few of its would-be usurpers do: Production of premium shows requires institutional know-how, enormous reserves of capital, and vertical integration. As an idea factory, Hollywood enjoys the advantages of a Chinese manufacturing mega-center: all the parts for all the products are made in the same place, by companies connected closely to one another, and often owned by the same entities. It’s possible for competitors to displace one or more of these parts. Netflix may seize control of distribution; YouTube may swallow advertising; one or more startups might innovate on low-cost video production. But no single competitor, let alone a connected ecosystem of competitors, is set to reverse-engineer the entire production web: the script development, the talent, the shooting, the editing, the distribution, the titling and scoring, and so forth. It’s not because nobody can, but because replacing all of these things in-house is wildly inefficient. For the time being, the most effective way to make premium shows and movies is to pay the big agencies and production companies. These two pieces of the entertainment puzzle, above all others, are more relevant today than they ever have been. In a world where anyone can become a viable distributor, and plenty of would-be distributors can pay top dollar, the companies who can package talent and production stay in the picture. Their buyers might look different, but they’ll still make their sale. Agency prices are high, and climbing higher still. So long as they maintain centralized control over in-demand talent, they’ll dictate the terms of any deal with any partner. Hollywood won’t be disrupted, so much as refocused and rebranded. In aggregate, the entertainment industry will shrink—but that’s assuming you look at the industry as it exists today, with all the same players involved. A more accurate view is to see the industry as we saw the Roman Empire: whenever invaders conquered portions of its territory, they tended to settle down and do business. Sooner or later, the lines between barbarian and citizen started to blur. And for the sake of convenience, everyone called himself a Roman. In the end, Rome wasn’t conquered; it essentially split apart and distributed itself. Hollywood will do the same. It will go open-source: raising money from around the world, selling services and talent to anyone and everyone, distributing through diffuse channels, and producing content in all forms. Hollywood’s gates won’t be breached. Hollywood will throw them open.